Gerry Goffin was a prolific and multi-dimensional lyricist who with his then-wife and songwriting partner Carole King wrote such hits as "Will You Love Me Tomorrow," ''(You Make Me Feel Like) A Natural Woman," ''Up on the Roof" and "The Loco-Motion". Along with his wife, he was inducted into the Rock and Roll Hall of Fame in 1990. Gerry died on June 19th, 2014 at his home in Los Angeles. He was 75. Born in Brooklyn, New York, Goffin enlisted in the Marine Corps Reserve after graduating from Brooklyn Technical High School. After spending a year at the U.S. Naval Academy, he resigned from the Navy to study chemistry at Queens College. He married Carole King in August 1959 (he was 20; she was 17), and the husband-wife team pursued a successful songwriting career, notably as part of the famous Brill Building songwriting collective. Their breakthrough hit was "Will You Love Me Tomorrow", which was recorded by the Shirelles and went to number one on the Billboard Hot 100 in January 1961. His other number ones with King were "Take Good Care of My Baby" by Bobby Vee, "Go Away Little Girl" by Steve Lawrence (later a number one hit for Donny Osmond), and "The Loco-Motion" by Little Eva (later a number one hit for Grand Funk Railroad and a number three hit for Kylie Minogue). The duo wrote "Pleasant Valley Sunday", which was recorded by the Monkees and which reached the number three spot on the Billboard chart in the U.S. Although they divorced in 1968, the two continued to work together for some years afterward. They are the parents of singer-songwriter Louise Goffin and Sherry Goffin Kondor. According to King's memoir, Goffin suffered from mental illness following ingestion of LSD, eventually undergoing treatment with lithium and electroshock therapy, and was diagnosed with manic depression. In addition to King, Goffin also collaborated with other songwriters, notably Barry Mann, Russ Titelman, Barry Goldberg and Michael Masser. "Nothing's Gonna Change My Love For You" with Michael Masser, recorded by George Benson and Glenn Medeiros. "Something Better" with Barry Mann, recorded by Marianne Faithfull (appears in The Rolling Stones Rock and Roll Circus). 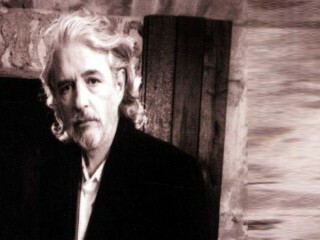 View the full website biography of Gerry Goffin.